Rapturously beautiful music flows throughout this new, almost chamber-sized musical. The gently paced, very adult romance is absorbing, and leads to a poignantly affecting conclusion. New age Broadway favourite Jason Robert Brown has written a score to rival Adam Guettel’s sumptuous music for The Light in the Piazza, with gorgeous songs you can and hear love at first listen. If production quality also brings to Piazza to mind, it is no surprise given that the same creative team (and female co-star) are on board. Director Bartlett Sher again proves himself the master of swoon-worthy adult romance, able to tell a story that is basically about love at first sight while completely avoiding the slightest hint of cringe-worthy excess or panting melodrama. The characters are grounded and real, making their heartbreak all the more moving. As with Piazza, Sher again demonstrates that no one can direct an ensemble like him. Each member of the company has a distinct character and a clear purpose and motivation in every scene, making the storytelling richer and more interesting to watch. Sher’s creative team are on board for Bridges, giving the production the cohesive design that comes from experienced professionals who are well acquainted with each other’s work. All creative elements strongly support the story. Michael Yeargan’s scenic design uses elements that suggest a greater whole, and that glide around easily for cinematic dissolves and crosscuts. 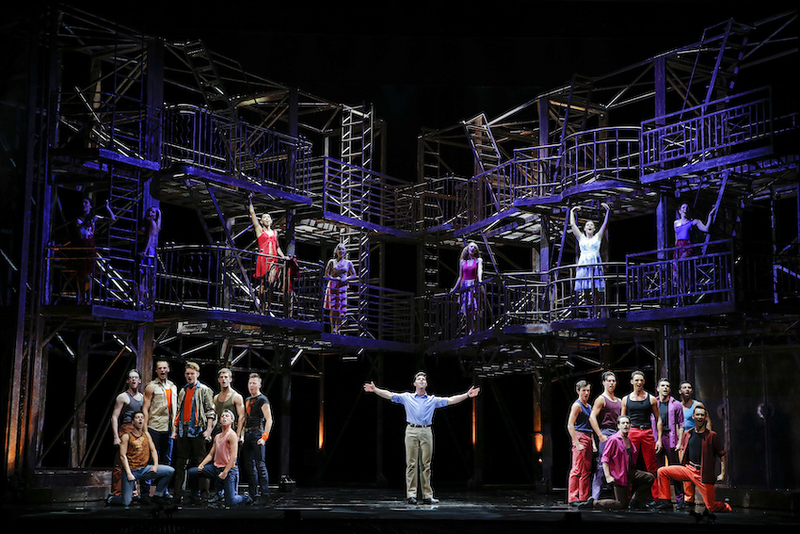 As Francesca opens the show singing “To Build A Home,” we see how Yeargan can build a house, with scenic elements flying and gliding in as the song progresses. Donald Holder lights the farm horizon backdrop with all the colours of dawn, dusk and everything in between. In one key scene, photographer Robert chases the light and we see the colours change before our eyes as the sun slowly sets. Costume designer Catherine Zuber reins in her use of her colour to create realistic outfits for 1960s rural America. Francesca’s new pink dress, coming at a key point in the romance, is a stunner. That opening song “To Build A Home” is a clever piece of writing from Brown, giving Francesca an “I Wish” song in which the lyrics tell of everything she already has – the “wish” is in the subtext of the song, in the way she has settled for this life and secretly longs for more. The brilliance continues with “You’re Not Alone,” a flashback of an incident involving Francesca’s husband Bud which also clearly establishes the constant scrutiny the characters live under in their small town. 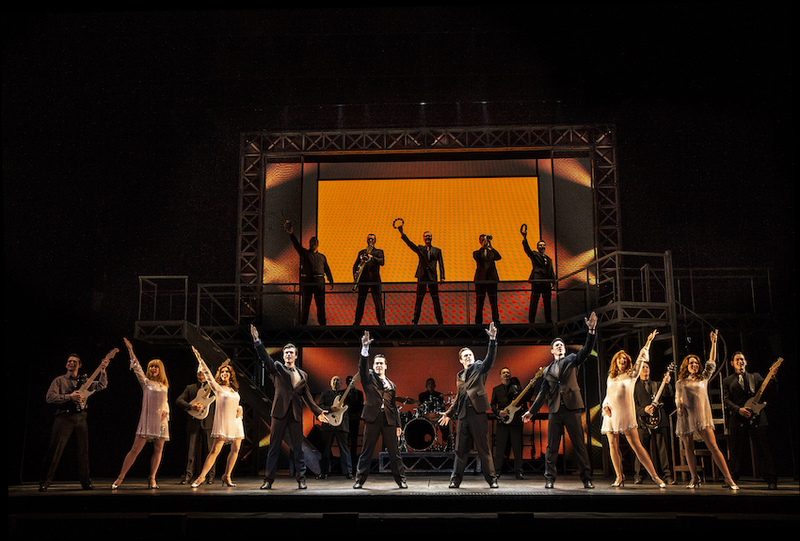 Keeping chorus members on stage throughout the show emphasises this point. Brown has clearly worked closely with Marsha Norman as she has written her economic book. Francesca and Robert’s first dinner could have been a clumsy affair filled with exposition and corny flirtation, so the scene occurs wordlessly while Robert’s ex-wife Marian sings “Another Life,” in a flashback of sorts. Later, when the couple listens to the radio, it is Francesca’s kindly/nosy neighbour Marge who sings the song (”Get Closer”) from her window. 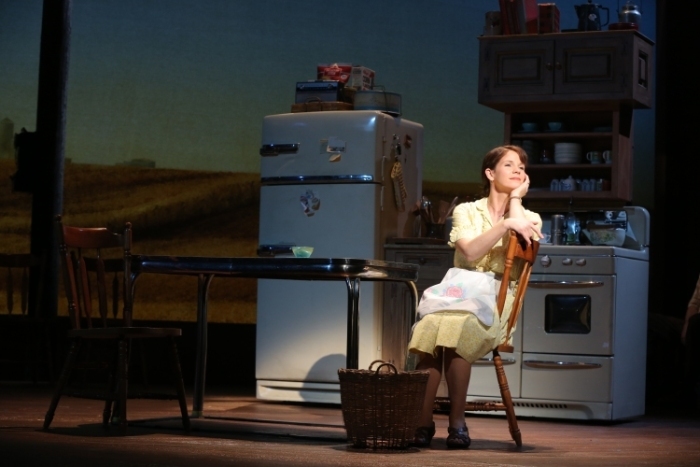 Broadway sweetheart Kelli O’Hara shows a significant coming of age in this mature role. Her singing is like liquid silver, its beauty greatly enhanced by the emotional range conveyed in her elegant expression. If there is a fault to all this perfection, it is that the sweetness O’Hara creates makes it a bit hard to believe that the character would so readily cheat on her husband. Francesca’s final dilemma and her ultimate sadness as the ensuing years go by are keenly felt. 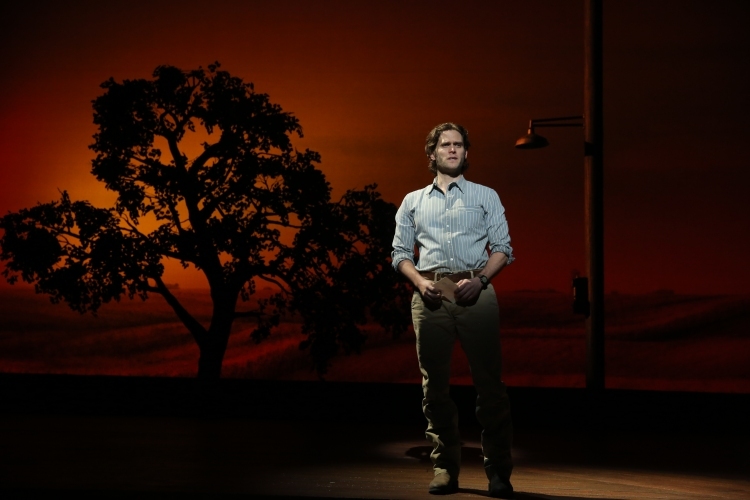 Finally reunited with his potential Piazza partner, Steven Pasquale (who gave away his first Broadway opportunity for television) proves a leading man for the ages. Masculine, handsome and broodingly intense, Pasquale captures many more hearts in the theatre than just Francesca’s. His singing is nothing short of amazing, with a long, high note in 11 o’clock number “It All Fades Away” that has to be heard to be believed. O’Hara and Pasquale enjoy palpable chemistry, and their dueting is divine. Strong, character-filled support comes from Cass Morgan as neighbour Marge and Hunter Foster as Francesca’s husband Bud. In yet another clever touch, both the writing and Foster’s performance do not portray Bud as particularly unattractive or unappealing, heightening Francesca’s dilemma rather than providing a simple excuse for it. The only odd casting for the show comes in the roles of the two teenaged children, who are played by actors that make the young adults playing teens on Glee look like infants. If the last show you saw and liked was Spider-man: Turn off the Noise Dark then this is mostly likely not the show for you. For adult theatregoers seeking class and polish, this is the place to hear Broadway’s best music. 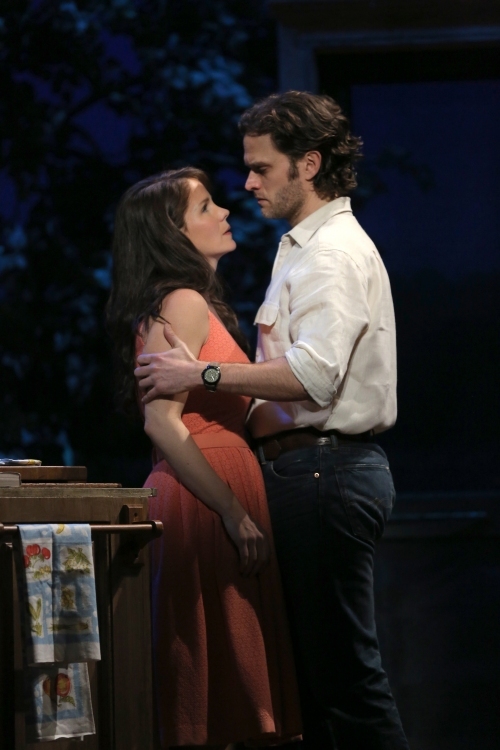 The Bridges of Madison County was reviewed 7pm 15 April 2014 at Schoenfeld Theatre, New York, where it has an open-ended run. Talk about combining all of the right elements and coming up with a winner. I’m driving right over to Jeanne Pratt on bended knee and begging The Production Company to take this one on. I fell in love with Kellie O’Hara when she sang a rocking duet with Harry Connick Jnr on The Today Show when they were doing The Pajama Game together a few years ago. 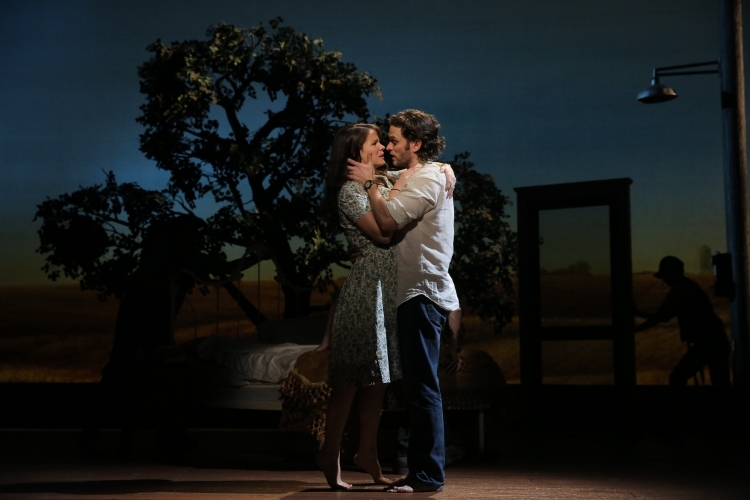 Loved Jason Robert Brown’s work since seeing The Last Five Years and Parade. Bridges sounds amazing. Thank you so much for your review. My favourite JRB is 13. I had the privilege of directing the Australian premiere of this and we all adored the show so much. Did you know that Bridges was released on iTunes this week? Get on it! I am going to listen to it over and over.